About Milorad Borota and MB MIGRATION SERVICE (CANADA) INC.
Milorad Borota is a Regulated Canadian Immigration Consultant, ICCRC member in good standing. Since 2011 Mr. Borota has been assisting Canadian employers with their LMIA applications and foreign workers with work permit applications and PR (permanent resident) applications. He has been living and working in Vancouver, BC since October of 1997. If you have any questions about LMIA applications, work permit applications, permanent resident applications, job search in Canada or any other immigration related question please do not hesitate to contact Milorad Borota at any time (every effort is made to respond to all incoming messages within 24 hours). MB MIGRATION SERVICE (CANADA) INC. is an immigration consulting company founded in 2011 and operated by Milorad Borota, Regulated Canadian Immigration Consultant. Canadian employers must obtain Labour Market Impact Assessment (LMIA) letter for every foreign worker they want to bring to Canada to work for their company (there are very few exceptions to this rule). LMIA application process is complicated (LMIA application packages normally have around 80 pages - this includes application form, company documents, copies of the job ads and any other relevant documents), it is lengthy (job needs to be advertised for at least one month before LMIA application is sent to Service Canada. After that Service Canada takes at least 2-3 months to assess LMIA applications, sometimes it takes more than 3 months. During the time of LMIA application processing employer must keep advertising the vacant position and interview any candidates that need to be interviewed). For that reason they are willing to hire immigration consultants or lawyers to help them with LMIA applications. Authorization to work in Canada is called (temporary) work permit. Practically all jobs require work permit (again, much like with LMIA there are some exceptions to this rule). For work permits issued without LMIA (small number of them) Canadian employers must pay Employer Compliance Fee of $230 and give job offer to foreign worker applying for work permit. For LMIA based work permits foreign workers must submit their application to the Canadian visa office responsible for their country of citizenship or current residence. In case of those foreign workers who do not require visitor visa to enter Canada they can apply for work permit when they enter Canada (at the airport or border crossing). 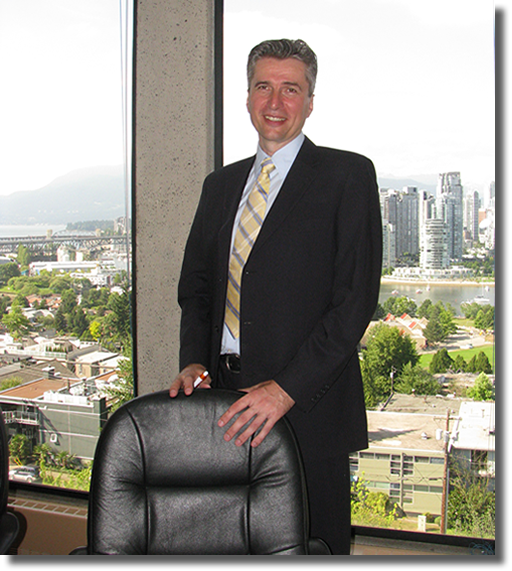 Mr. Borota can help you apply for your work permit while you are still outside Canada or when you are in Canada. "New Brunswick’s chief economist says Moncton needs to bring in up to 3,000 immigrants a year to support a healthy economy, which is triple the current rate of those moving to the city." In some situations foreign workers already in Canada can apply for their work permit at the Canadian border. In that case they would formally leave Canada and immediately return to Canada and apply for their work permit. If everything is smooth the whole process can be over in 30-45 minutes and the foreign worker would return with their new work permit. However sometimes flag-polling turns into a nightmare for foreign workers. It does not happen often but when it happens usually leaves the foreign worker traumatized and without their work permit. Mr. Borota can help you prepare for your work permit application at Canadian border-crossing. That way you are likely to avoid mistakes commonly made in such situations. "Dozens of travellers arriving home at Ottawa International Airport have filed complaints about rude treatment and harassment by Canada Border Services Agency officers..."
Most foreign workers in Canada want to stay in Canada permanently. They also want to bring their family members to Canada. There are many immigration programs in Canada which give opportunity to foreign workers to apply for permanent resident (PR) status for them and for their family members. Some of those programs are federal immigration programs however most of the foreign worker focused programs are so called Provincial Immigration Programs. 2) foreign worker needs to prepare and send their application package to the federal government (they have the final word on who will become permanent resident in Canada). Applications for permanent resident status in Canada can be complicated and time consuming. Assistance of an experience and knowledgeable immigration consultant can be of great benefit in those situations. If you want to apply for permanent resident status in Canada we suggest that you contact Mr. Borota and see if you could benefit from his assistance.